Clean out your garages, clear the attic, mark your calendar! 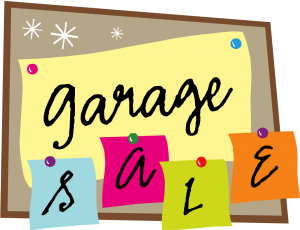 The neighborhood garage sale is scheduled for Saturday May 3! We have teamed up with the JJPearce HOA and expect lots of interested buyers in the neighborhood. The Neighborhood Associations will place the ads! So get your permit (for free) and then all you need to do is set up with your unused items! Go in with a neighbor and double the fun!